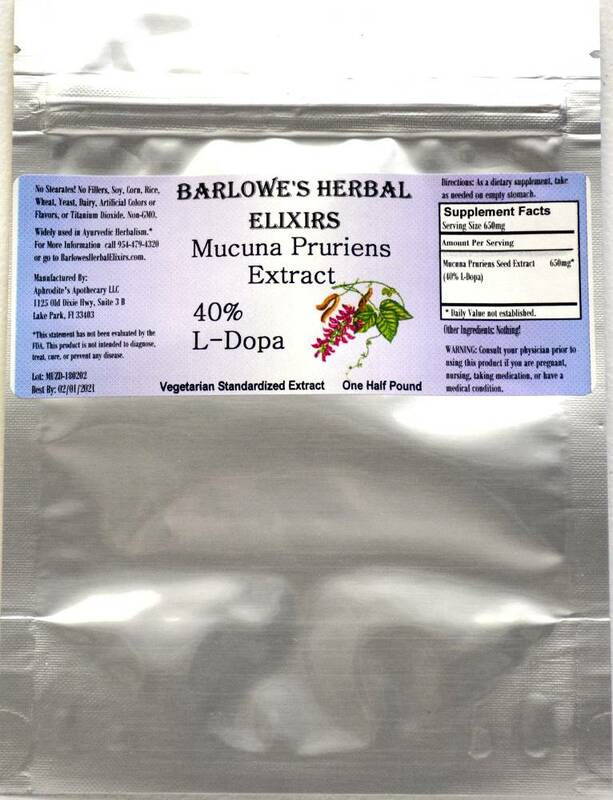 Barlowe's Herbal Elixirs now offers a 40% L-Dopa Mucuna Pruriens Extract Bulk Powder packed in a one half pound foil pouch. 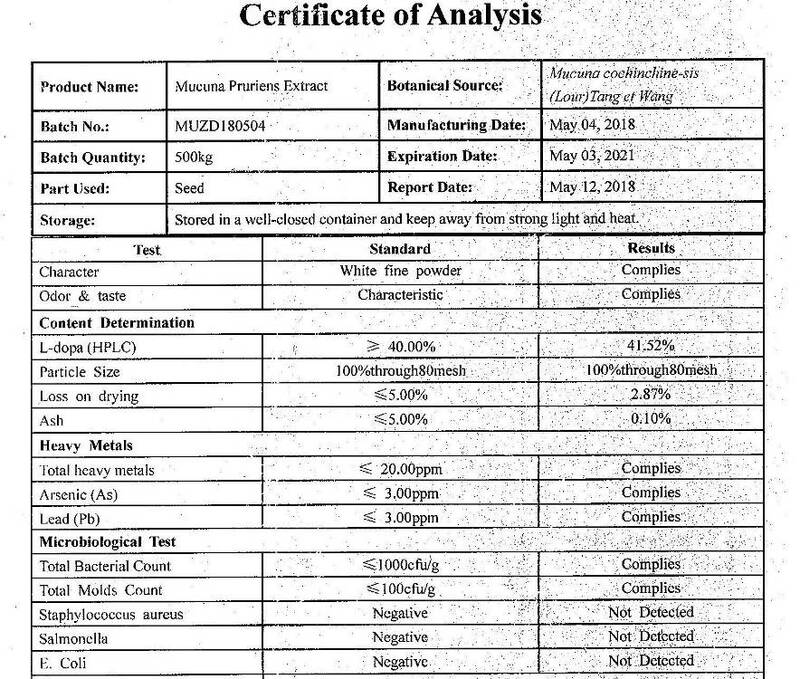 Stearate Free! Barlowe's Herbal Elixirs now offers a 40% L-Dopa Mucuna Pruriens Extract Bulk Powder packed in a one half pound foil pouch. Caution: This product is generally safe, but it should be utilized with care. This product is for dietary use. If unexpected side-effects occur, discontinue use immediately! The above statements have not been evaluated by the Food and Drug Administration (FDA). This product is not intended to diagnose, treat, cure, or prevent any disease. Directions For Use: As a dietary supplement, take 650mg twice daily on empty stomach. If any side effects occur, stop use immediately. Adult use only.